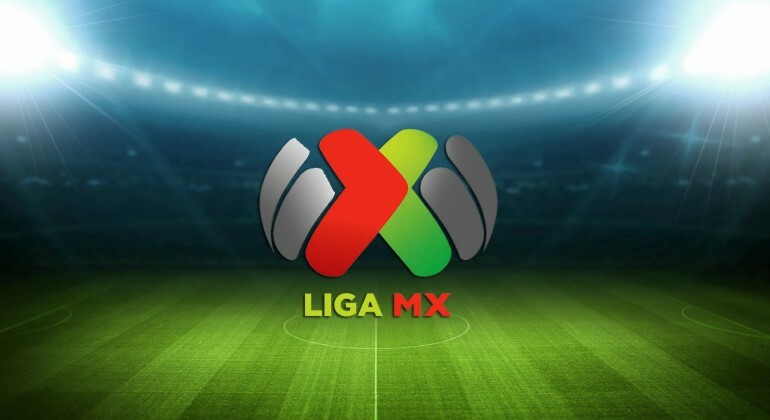 With the dust barely settled on an outstanding World Cup, we pick ourselves up, and go again as the latest Liga MX campaign begins on Friday. Hoping to get you in the mood, here’s Tom Harrison’s preview. Tigres have won the last three Apertura titles and are well-placed to make that four. They thrive after a summer break, haven’t lost any important squad players since last season, and have added extra quality. Guido Pizarro returns after a short, mixed spell at Sevilla, and is expected to re-establish himself as one of Liga MX’s finest midfielders, whilst young talent Julián Quinones is back from his excellent loan spell with Lobos BUAP. The Tigres bench will be even more frightening than ever, but so will Ricardo “Tuca” Ferretti’s task of finding his best system and personnel. 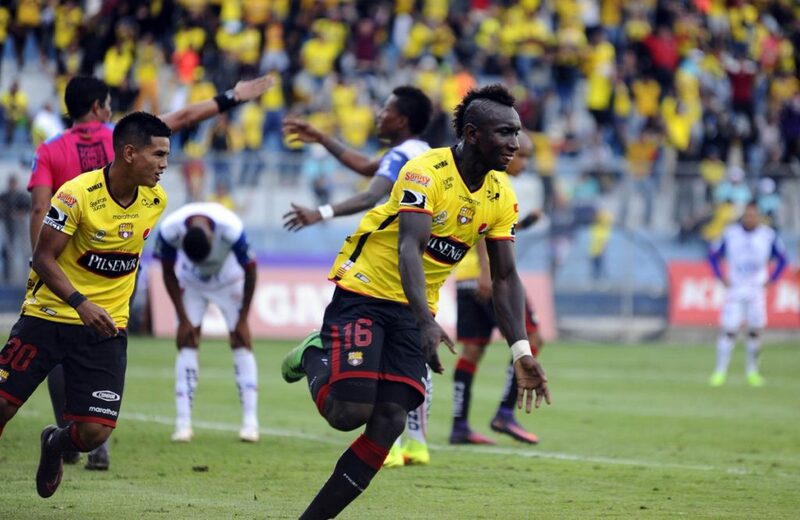 Big names likes Enner Valencia, Eduardo Vargas and, of course, André-Pierre Gignac, will demand starting spots, but the always superb Lucas “Chino” Zelarayán and starlet Quinones may prove more effective options. There’s also a question of whether or not this is the season to break-up the legendary Juninho-Hugo Ayala partnership, with Francisco Meza waiting in the wings, as well as the selection of a midfield partner for Pizarro. Inevitably, Tuca’s decisions will disappoint a few. Not wanting to be out-done by their city rivals, new Monterrey coach Diego Alonso will have similar problems at Estadio BBVA Bancomer. An attack that included Avilés Hurtado, Dorlan Pabón, Rogelio Funes Mori, Jonathan Urretaviscaya and Alfonso “Ponchito” González clearly wasn’t sufficient, so Rodolfo Pizarro was brought in from Chivas for a large fee. The creativity and dribbling ability within the Rayados attack is phenomenal, but the key summer move may prove to be Marcelo Barovero, who’s excelled in Liga MX since joining Necaxa. Alonso somewhat lost his way at Pachuca, as he was unable to find the right balance between scoring and conceding, but the former Liga MX winner should be re-ignited by the new challenge. 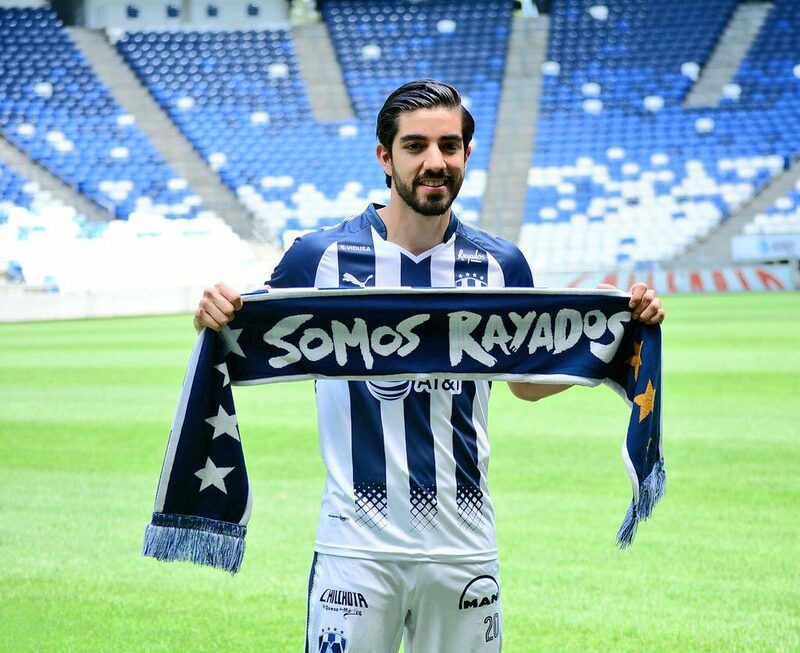 Like Tigres, much of the Rayados campaign will depend on Alonso’s ability to mould a group of exceptional individuals into a successful collective unit. Another attack that’s stacked with dangerous dribblers is América‘s. Miguel “Piojo” Herrera didn’t enjoy the dream return to Estadio Azteca that he would have hoped for and will be determined to make up for that this season. Well, if he stops worrying about the national team job that is. América have added Mexican international Luis Reyes to strengthen the left-back spot, Jorge Sánchez to boost their crop of young defensive talent, and direct striker Roger Martínez. Martínez bagged 17 goals in 30 games in China, and will take some scoring pressure off the ageing Oribe Peralta if he adapts well. Despite these additions, most of the excitement surrounds young prodigy Diego Lainez, who’s shown enough for club and country to be an important part of the first-team picture, especially with Cecilio Domínguez and Jérémy Ménez starting the season out injured. 2018 Clausura runners-up Toluca have kept their squad together, with no departures and no star arrivals. The squad is small, but strong and full of experience. Toluca were excellent at controlling matches last season and Hernán Cristante’s system extracted the most out of Argentine play-makers Rubens Sambueza and Pablo “Pitu” Barrientos. Sambueza, Liga MX player of the season in 2017-18, was given possession more often than any other player in Mexico’s top flight, very rare for an attacking-midfielder. Los Diablos Rojos have lost goal poacher Fernando Uribe though, who was outstanding in the air, and without any new additions yet, Cristante may have to rely on the two Alexis, Canelo and Vega, to replace Uribe. As ever with an ageing squad, there’s also the concern that this may be the season they get shown up as being past their peak. Cruz Azul, yes, Cruz Azul should be strong contenders in the 2018 Apertura. Ricardo Peláez has revolutionised the La Máquina squad, with plenty of proven Liga MX quality. Igor Lichnovsky was outstanding for Necaxa in 2017-18, and could develop a formidable partnership with Pablo Aguilar, who’s approaching 200 Liga MX appearances. The attacking system appears to be based around crossing, with arguably the best crosser in Liga MX, Elías Hernández, joining alongside target man Milton Caraglio. On the other flank exciting talent Roberto Alvarado will battle for a starting spot with the energetic, but erratic, Édgar Méndez. Crossing is usually an inefficient tactic to base your game around, but with the players at Pedro Caixinha’s disposal, it could prove highly effective. Alongside the domestic additions, Cruz Azul have also brought in ball-winner Iván Marcone to shield the back-four, and former Santos and Querétaro forward Andrés Rentería, who struggled to develop after a promising start in Mexico. The versatile Colombian could provide a useful spark from the bench. Santos Laguna impressed with defensively solidity and an effective, rather direct, approach during their run to the title. However, as is so often the case when a club over-achieve, the squad has been decimated by three crucial departures. Centre-backs Carlos Izquierdoz and Néstor Araújo have both moved on, as has forward Djaniny Tavares, who finally broke through with an outstanding Clausura. Replacing all three is an extremely tall order, and centre-back addition Hugo Nervo has huge shoes to fill. How his partnership with Gerardo Alcoba develops will be a major determinant in the success of Santos’ title defence. Going forward, Los Guerreros still possess efficient creators Osvaldo Martínez and Brian Lozano in the squad, the physical presence of Julio Furch and Jonathan Rodríguez, a somewhat forgotten name as the Furch-Djaniny partnership thrived. Young Eduardo Aguirre could also make an impact after top scoring at the Toulon tournament. The Diego Alonso-era at Pachuca came to an end after missing out on liguilla during both tournaments in 2017-18. Pako Ayesterán has been brought in to replace Alonso, but apart from this changes are limited. The only significant transfer move was replacing Omar González with Jaine Barreiro at centre-back, and the rest of the squad remains stable. The creativity and class of Keisuke Honda and Erick Gutiérrez is Pachuca’s main strength, and as ever Mexico fans will be keeping an eye out for the next prospect to come out of the famed Tuzos academy. Fans of El Tri will also be interested in how Víctor Guzmán performs when he returns from what was an untimely injury. 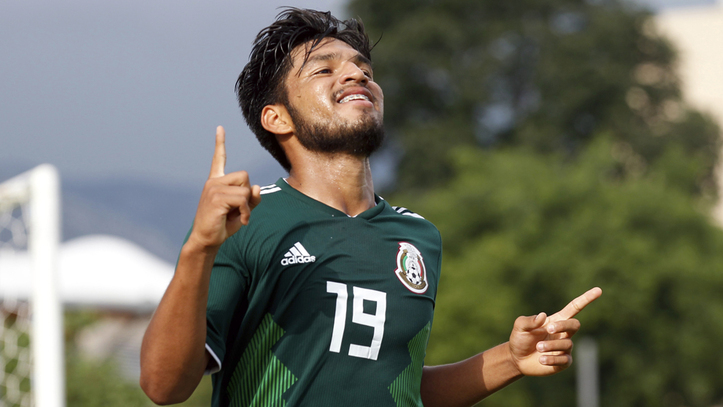 Guzmán was transformed from a defensive midfielder to attacking midfielder with eight goals to his name during 2017-18, with both the timing of his runs into the box and finishing ability making an impression. It’s fair to say Chivas fans have suffered this summer. The Guadalajara side lost popular coach Matías Almeyda after a poor domestic season, and three important first team players. As has become customary, there were rumours of big Mexican names moving to Estadio Chivas, including a potential return for Javier Hernández, but none materialised. Raúl Gudino is the most significant signing, with the 22-year-old receiving his first opportunity in Liga MX, and with Miguel Jiménez his only competition, Gudino will be expected to start. Other arrivals include Mario de Luna, who perhaps isn’t as bad a replacement for Osvaldo Alanís as many Chivas fans believe, Ángel Sepúlveda, who cannot even be compared to Rodolfo Pizarro, and full-backs Miguel Ponce (loan return) and Josecarlos van Rankin, to add depth. The playing additions are uninspiring, but most concerning for Chivas fans might be the decision to replace Almeyda with José Cardozo. After a good, but ultimately unsuccessful, time in charge of Toluca, Cardozo has endured awful spells with Chiapas, Puebla and Veracruz. On all three occasions Cardozo played dire football and dragged his sides closer to the relegation zone with poor results. In the midst of this negativity, there is some hope for Chivas fans; Alan Pulido is one of the best forwards in the league and will be determined to show he’s worthy of replacing Oribe Peralta in the Mexico squad, Orbelín Pineda can control matches if he re-discovers his best form, and Javier “Chofis” López is more than ready to step up and become the key creator for Chivas. He deserves the opportunity. An impressive defence, which conceded just 12 times during the regular Clausura, helped Tijuana to a sixth-placed finish, before they surprised Monterrey in the quarter-finals. Los Xolos fell at the semi-final stage, but overall Diego Cocca should be pleased with his start at Estadio Caliente. A key member of the Tijuana defence has been lost during the summer, Pablo Aguilar, and considering that Cruz Azul’s Julián Velázquez has come in as Aguilar’s replacement, this could prove a huge blow. Another significant loss is Gustavo Bou. The energetic, inefficient forward, didn’t kick-on after an eye-catching start to life in Mexico, but his departure leaves a lot of pressure on Juan Martín Lucero and Miller Bolanos for goals, unless new boys Erick Torres or Erick Castillo can find form. Bolanos is certainly the man to watch for Tijuana, the Ecuadorian was outstanding last season, both in terms of creating and scoring chances, and Cocca would be wise to build around him. One of the most effective partnerships in Liga MX has come to an end, with Elías Hernández leaving León for Cruz Azul. Mauro Boselli will hope that new signing Yairo Moreno can supply him in a similar fashion to Elías, but Moreno appears to not have the crossing ability of Elías, although he is more effective when running at defenders. Boselli may also develop a new forward partnership with Paraguayan striker Walter González, if Gustavo Díaz goes with two up front. León could still be less potent in attack, but have added quality to a defence that conceded 33 times in the Clausura. Rodolfo Cota is certainly an improvement on William Yarbrough in goal, centre-back William Tesillo has been capped by Colombia, and holding midfielder Pedro Aquino was excellent for Lobos BUAP in 2017-18. La Fiera should have better balance than last season, making them strong candidates for a liguilla run, but whether Boselli can continue to score regularly without the delivery of Elíás remains to be seen. Pumas‘s attack has undergone a revolution during the summer. Star striker Nicolás Castillo has inevitably moved on to Benfica, and youth product Jesús Gallardo was sold to Monterrey. Pumas suffered from a serious lack of attacking depth in 2017-18, and they’ve learnt their lesson, bringing in six attacking players from other Liga MX sides. Felipe Mora and Carlos González are proven scorers in Mexico, and will fight for starting spots with Matías Alustiza. Martín Rodríguez, Víctor Malcorra and Juan Iturbe will look to create opportunities from wide areas for Pumas’ three strikers, all of whom have a point to prove following mixed success in Liga MX thus far. With more depth and less reliance on one player to score goals, David Patino will hope to build on the seventh-placed finish last Clausura. Watching Atlas last season was incredibly frustrating. In Clifford Aboagye and Ravel Morrison, Atlas had two of the finest creative midfield players in Liga MX, but rarely used the pair together. Morrison departed with his Mexican spell appearing a failure, but the former English prodigy couldn’t have done much more to warrant a regular starting spot. In his place comes former Inter Milan attacking midfielder Ricky Álvarez, and hopefully Gerardo Espinoza will find room for both Álvarez and Aboagye in the starting line-up. Atlas were one of the busiest sides during the summer, and Álvarez wasn’t the only noteworthy addition. Swapping Jaine Barreiro for Omar González should improve the consistency of Atlas’ defence, Chilean defensive midfielder Lorenzo Reyes has experience at Real Betis, Andrés “Rifle” Andrade has been one of the most underrated wingers in Liga MX recently, and Uruguayan forward Octavio Rivero boasts an impressive goal scoring record. Mix in a crop of young players that emerged towards the end of last season; including Ulises Cardona, Edyiarth Ortega and Cristian Calderón, and Atlas have the potential to make a play-off push. The departure of Raúl Ruidíaz will be heart-breaking for Morelia fans, with the passionate and classy Peruvian becoming an idol in Michoacán after scoring 40 Liga MX goals in the last two campaigns. The loss of Ruidíaz is enormous, but Morelia have done well so far to keep hold of Diego Valdés and coach Roberto Hernández. Signings have been limited, but Irven Ávila impressed during his spell with Lobos BUAP and will aid Valdés in creating opportunities. The replacement for Ruidíaz appears to be 20-year-old Paraguayan Sebastián Ferreira, although Carlos Fierro may well get an opportunity through the middle, his original position. Without Ruidíaz, few expect Morelia to over-achieve in the same vein as last season, but with the intelligent Hernández coaching the side, and players like Sebastián Sosa, Gabriel Achilier and Valdés, La Monarquía could once again sneak into the top eight. 2018 Clausura Copa MX champions Necaxa have seen their brightest talents move on this summer. Roberto Alvardo and Igor Lichnovsky were both bought by Cruz Azul, Carlos González was picked up by Pumas, whilst Marcelo Barovero has moved to Monterrey, although that blow was softened by Hugo González moving in the other direction. Additions haven’t been particularly inspiring, although Carlos Pena still has the potential to dominate Liga MX matches, if he can sort out his fitness and mental problems. Newly appointed 31-year-old coach Marcelo Michel Leano, who’s a friend of Juan Carlos Osorio, will be fascinating to keep tabs on, as Mexican fans search for new home-grown coaching talent, and despite the departures, he still has plenty of midfield creativity as his disposal. Víctor Dávila is one of the best prospects in Liga MX right now, Matías Fernández is experienced and skilful, whilst Dieter Villalpando is the most underrated Mexican player when used in a deeper, central midfield role. Problems are likely to be at the back, where Necaxa excelled under Nacho Ambríz, and Leano has a difficult challenge to re-build the dismantled back-line. No one can be sure what the relegation system will look like at the end of the season, but at the moment relegation has returned to the rules we know and, well, endure. Last season Lobos BUAP were able to buy their way back into Liga MX after Ascenso victors Cafetaleros de Tapachula didn’t meet the requirements for promotion. Only a handful of clubs are able to gain promotion to Mexico’s top flight this season, but if they are, Lobos will be one of the favourites to take their place in the Ascenso. Lobos were unfortunate last season, ending 2017-18 with the largest negative gap between their expected goal difference and actual goal difference. However, key players Julián Quinones, Pedro Aquino and Irven Ávila have been lost during the summer. The usual crop of unwanted Liga MX players have been brought in on loan to strengthen the squad, including; Antonio “Tono” Rodríguez, Bryan Rabello, Abraham González and Jorge Zárate. 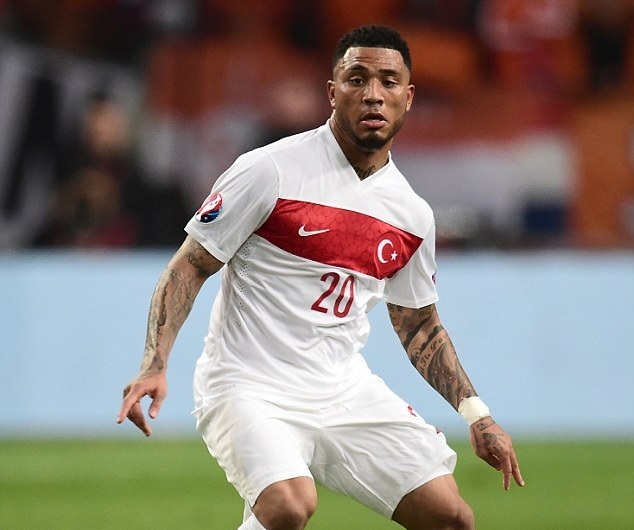 Colin Kazim-Richards is the most intriguing addition though, with the London-born, former Turkish international joining from Corinthians. Keep an eye on him. The other favourites to finish bottom of the tabla de cociente is Veracruz. Los Tiburones Rojos currently sit 17th in the relegation table, with a points-per-game tally of less than one. Veracruz have become known as the ugly face of Liga MX in recent years; with off the field problems, occasional distasteful scenes in the stadium, and uninspiring football. By their standards, it’s been a rather quiet summer. There’s been no squad overhaul, but significant additions have come from South America, as expected. Chilean winger Bryan Carrasco was one of the most frequent crossers in the world last season, whilst Brazilian forward Neto Berola loves to run at defenders. Both could make an impression, but with a huge crop of international players at his disposal, the make up of the Veracruz side is somewhat of a mystery. The optimism of the Víctor Manuel Vucetich era, which saw Brazilian star Ronaldinho and emerging talent Orbelín Pineda lead Querétaro to their first Liga MX final, and Tiago Volpi inspire a historic Copa MX victory in 2016, is long over. Querétaro have been unable to maintain that level of performance and have dropped back into the relegation battle. This summer’s key arrival is coach Rafael Puente Jr. The former actor took Lobos into Liga MX and whilst results quickly fell away following an excellent start, Puente turned heads with his distinctive style of play. His 3-4-3 was ambitious, forward-thinking and caused problems for opposing defenders. It will be interesting to see if Puente decides to re-create this system with his new club, or if he adapts to the crop of players at his disposal. In terms of personnel, key creator Yerson Candelo’s departure to Atlético Nacional is a big blow, but Daniel “Keko” Villalva has the potential to fill the void after joining from Veracruz. Plus, Querétaro have so far managed to keep hold of star players Volpi, Camilo Sanvezzo and Edson Puch, all of whom are up there with the best in Mexico. Puebla are shaking off their negative image of the recent past, with impressive signings such as Alejandro Chumacero, Lucas Cavallini and Anderson Santamarína all joining La Franja after the appointment of forward-thinking Jonathan Himelfarb as head scout. Enrique Meza enjoyed a superb start in Puebla, but the experienced coach did see his side fall away towards the end of last season. Puebla have been perennial relegation battlers recently, and will be hoping for a strong beginning to the campaign, in order to ease any concerns. Summer additions have been limited to domestic loans so far, with Luis Robles returning from Atlas to boost defensive midfield options and Jonathan Espericueta, the former Mexican prodigy, coming in from Tigres. However, there’s still plenty of time remaining in the transfer window, and don’t be surprised if Puebla bring in additional quality from abroad. Tom Harrison will be offering his using statistical and tactical analysis for the new Liga MX season. You can follow him on twitter @tomh_36.